Since I had a 4-day weekend off, I put quite few ‘stage’ applications in since I had no other pressing engagements. And it was beginning to look as if I might get shut out on all of them. 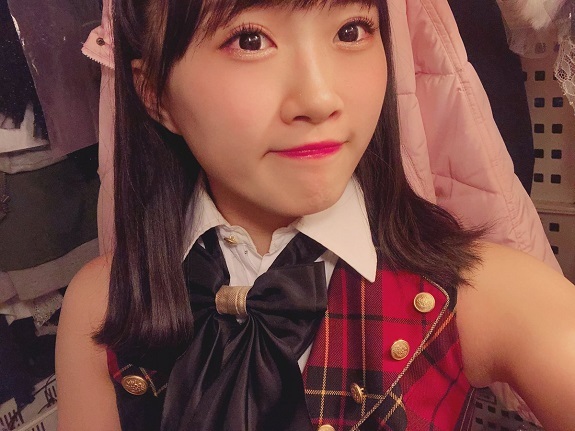 I applied to all of the HKT48 Business Trip stages in Nagoya; No dice. Team 4 and Team B over the weekend; Nope. I decided to put in apps for the 3rd Gen Draftee KKS stage on Tuesday, and both of the Anna Makino stages on Monday. Technically, I already had Monday plans to attend a Wasamin release event in Saitama, but what the heck. I figured I probably wouldn’t win anyway…. Lo and behold, I received a Cancel Machi email on Sunday. And it was one of those mid-range cancel machi numbers (#68) where I had a decent chance to win, but it was no sure thing. Plus, it was the early show, which ruled out me going to Saitama first to see Wasamin, and then heading to Akihabara in the evening. Oh well, I figured I would make my appearance, and if I didn’t win anything I would still have time to go to Saitama for Wasamin’s second performance. I got to Akihabara early because I wanted to have lunch before the stage. I have been in the mood for a Subway Sub for a while now, and the two closest Subway locations to where I live have recently closed. Anyway, I had my sandwich, and headed over to the Donki. By this time the pre-cancellation number on the ticket center website had gone past 30, so my chances had gotten a bit better. Since I seem to get cancel machi quite often, I have started to notice a few patterns with the staff who call the cancel machi numbers, and judging by the manic clicking he was doing before the call, I could tell there were quite a few no-shows despite the box office queue being rather long at that moment. Sure enough, the guy was rapid firing numbers, but unfortunately for me most everyone was present. As he sped past the mid-50’s I thought I had a fighting chance to get into the seat lottery. However, my hopes for that were quickly dashed when he abruptly stopped at #57. On the other hand, this almost guaranteed I would get into the final group that goes into the theater last. I just needed one no-show in front of me to get it in. Sure enough, there were a bunch of no-shows. I was in, Score-a-rooni! Oh, and….. This would be my 50th 48-group theater show win!!! At the risk of stating what many people already know, that it is quite a high energy set for the most part. As a result, it seems like the entire show goes by quite fast. And in fact it is fast, when I left the Donki I checked my phone and it was only 2:45, so the show barely lasted over 90 minutes. Not that I’m complaining. Personally, I’d rather the show be a little short than far too long. The opening set is a lot of fun, and contains some of my favorite 48-group songs, like Renai Sousenkyou and Boku Dake no Value. The unit set is also strong from top to bottom. I can even endure Green Flash, which I normally hate. But Yuiri and Yokochan’s dancing make the song enjoyable. To me the weak point in the setlist are the songs leading out of the units, but they make up for it with a strong encore. And I love that SKE48’s discography is so present throughout the setlist, despite me not being a fan of Pinocchio Gun. I love all the other SKE songs in the set. So here’s where I talk about the members who stood out to me, for better or worse. 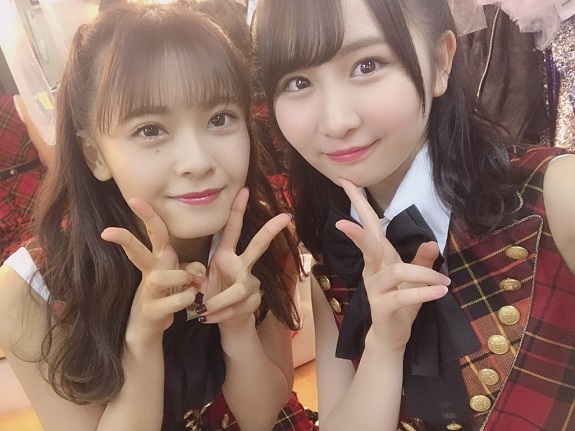 Naturally my focus would be on Zunchan, as well as Orin, Kururun, and Tacchan since I do have a history with them at both the theater and handshake events. But there were a few others who stood out to me, keeping in mind I was 1) in the back, and 2) on the far right with an semi-obstructed view. So there are things I miss that I might otherwise see with a decent seat. Sato Nanami was the first girl I noticed when the curtain opened. I think she is strikingly pretty, and she has quite the mature aura. In fact, all three of the Team 8 members (Nanamin, Yokochan, Nagi) seemed to be among the most polished members onstage, both in performance and in MCs. But of the three of them Nanamin stood out the most. I noticed Nagi the least. Nagatomo Ayami is one of those 16th gen girls who I always forget paid a lot of attention to me during high touch, and her long face and big smile are easy to spot. On the other hand, I barely noticed Taya Misaki, despite the fact that I like her. 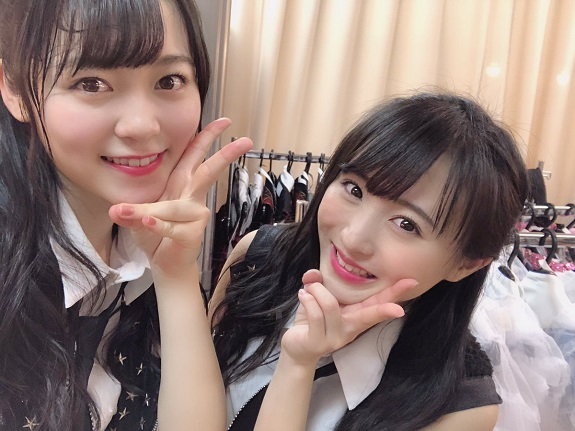 Suzuki Kurumi: It really seems as if they are grooming her for big things. I mean she isn’t getting nearly the push new members like Moeka and Zukki seem to be receiving, but it always seems to be near center position in the group songs. Nishikawa Rei: I remember going to her seitensei a couple years ago. She is really growing up, I almost didn’t recognize her. Yamabe Ayu had a bit of trouble with MCs, like she is painfully shy or something. In fact at one point Yokochan began poking fun at her. Is Ayu always like that? As the lights came up in the final MC she starting waving to me. I motioned “me?” She shook her head affirmatively, then pointed to me, and then her ear. I made a heart gesture, which she mimicked, and then again pointed to me, and then her ear. I gave her a ‘thumbs up’ which she returned. She was telling me she could hear me calling her name! I mean perhaps I shouldn’t be surprised since Ranchan (Kobayashi Ran) has also mentioned that she can hear me calling her name at the theater. But I thought it was so cute how Zunchan was trying to communicate with me all the way in the back. Since I was in the back standing area, I got to do ‘High-Wave’ relatively quickly. 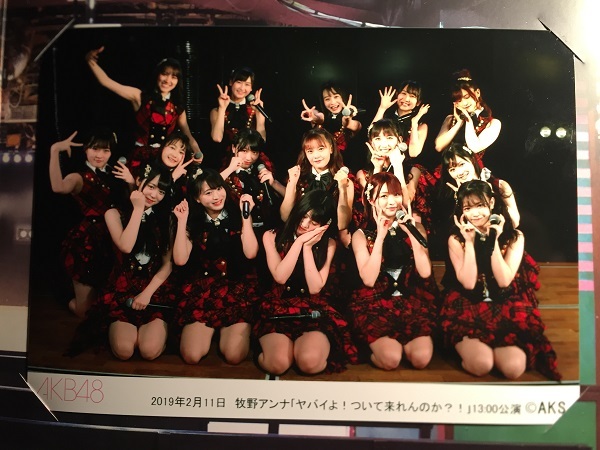 Zunchan was the third member on the far right. As I passed her she again repeated that she heard my calls. Nice. After that, if was a series of generic waves, although I did receive a few English “Hello” greetings, including one from Rei-chan. Orin also gave me a bright greeting somewhere in the middle. But then I got to the end where the rest of the 16th gen girls were, and both Ayamin and then Tacchan (who was last) gave me the “Hey, it’s you!” treatment. Great way to end the experience, I was out the door, purchased the photo set, and bee-lined for the escalator. Ya know, I still haven’t applied for any handshake tickets for the new single. I was planning on putting in all my apps during the 4th round, but when I won this stage I decided to wait until after watching it before I decided who to get tickets for, just in case someone new caught my fancy. At the end of the day, it will probably result in me getting extra Zunchan tickets, LOL. 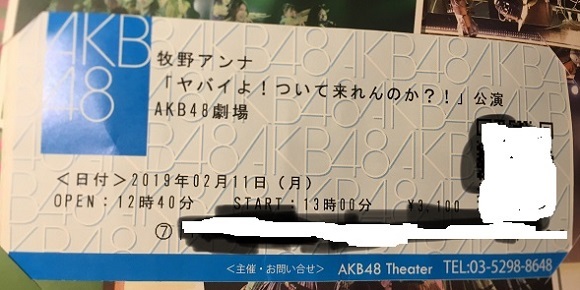 Unfortunately I don’t have any handshake tickets at all until next month, which is too bad since I can’t wait to talk with Zunchan about this weekend. In the meantime, It is Wasamin 8th Single Release Week. Fun Tiems await!